Some places are breath-taking. Others are breath-giving. 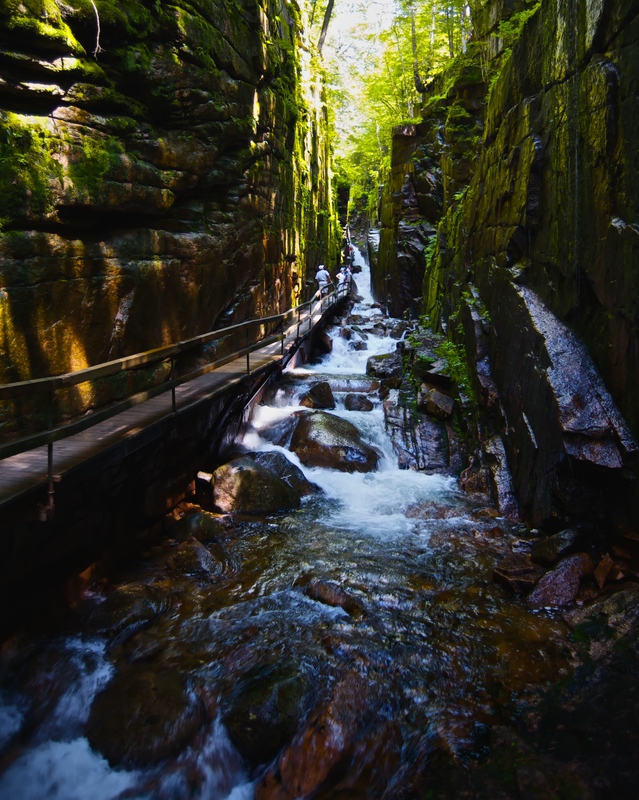 The Flume at Franconia Notch in New Hampshire gives breath, wonder, and glee. Flume – in this case, a natural gorge. 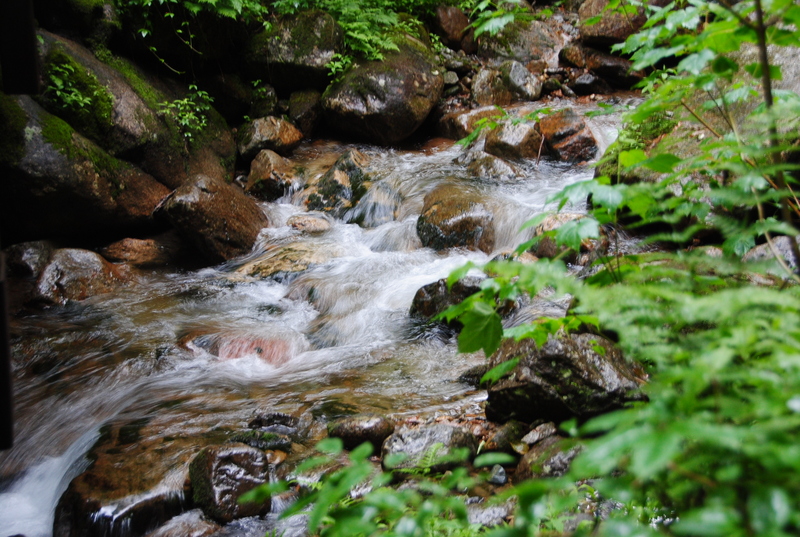 They’re also built to create a gravity shoot, using the water’s power to move items, like logs, down a mountain pass. Log Flume Amusement Ride – finding fun in the olden ways of productivity. This was nothing like that. The trek begins at the base of the flume, where the water trickles. Lovely. Then you pass milestones like a 300-ton boulder and crossing a covered bridge built in 1886. Awesome. Now there’s water rushing by; with an agenda all its own. Perpendicular granite walls 70-90 feet tall align the path. But it’s more like a protection than a claustrophobic thing. Created by wind, water, and time (as are all natural wonders), the Flume hosts the most beautiful waterfalls I’ve ever seen. Perhaps it’s because you start with the trickle and then get to the power. Or you have work to see them. All I know is that there’s something special here. On your way out, crawl through the fox den and take a look at the deep basin pool formed at the end of the Ice Age. Just your everyday stuff. Perhaps I’m laying it on thick. I don’t care. This excursion reminded me that in my life dedicated to finding adventures big and small, I can become jaded: is that swamp as good as the one I just went to? How many mountain passes do I really need to see? Turns out, I’ve got to check it out for myself. And what’s to lose? A day of beauty and certainly the chance to learn something new. How do you keep fresh enthusiasm for destinations? How do you keep from comparing them to each other? Can’t see the slideshow? Click here. Unless otherwise noted, these pictures are mine with a few Flickr supplements.